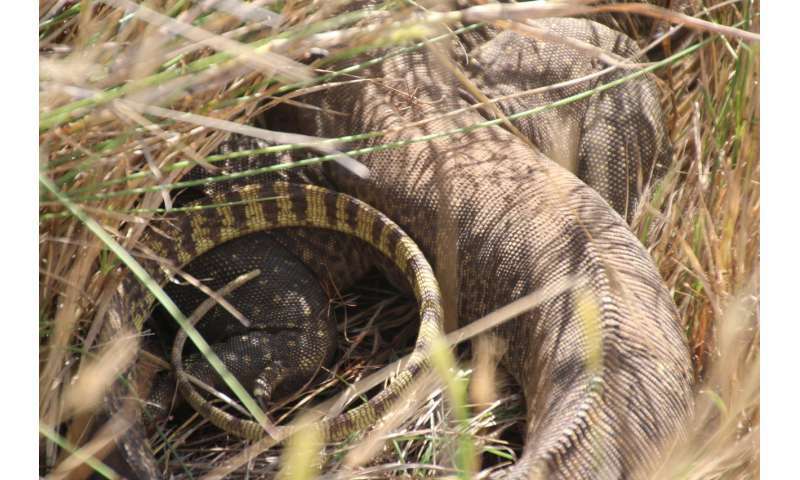 A large male yellow-spotted monitor (Varanus panoptes), also known as a goanna, curls his tail in the grass. Photo courtesy of Georgia Ward-Fear. Credit: Georgia Ward-Fear. 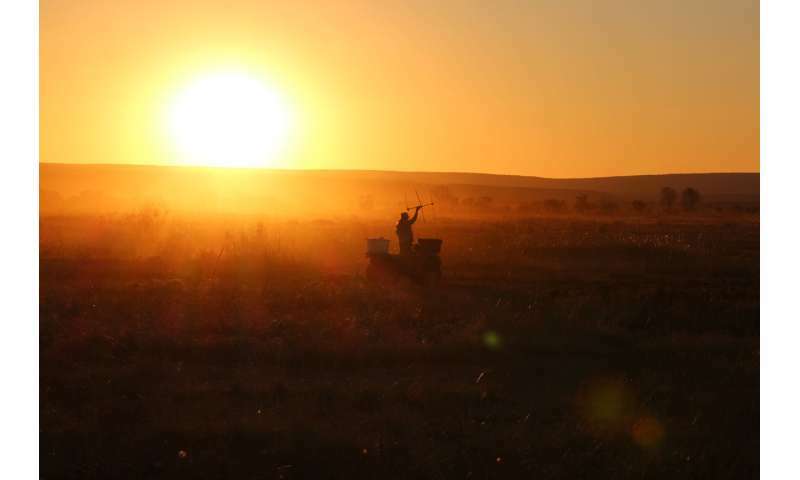 Researcher and author Georgia Ward-Fear, back-lit by sunset, radiotracks individuals to assess their home ranges and the characteristics of their chosen habitats. Credit: Miles Bruny.